Gerry’s dnata becomes first ground services provider at Pakistani airports to Get International Air Transport Association (IATA) prestigious IATA's Safety Audit for Ground Operations (ISAGO) registration. 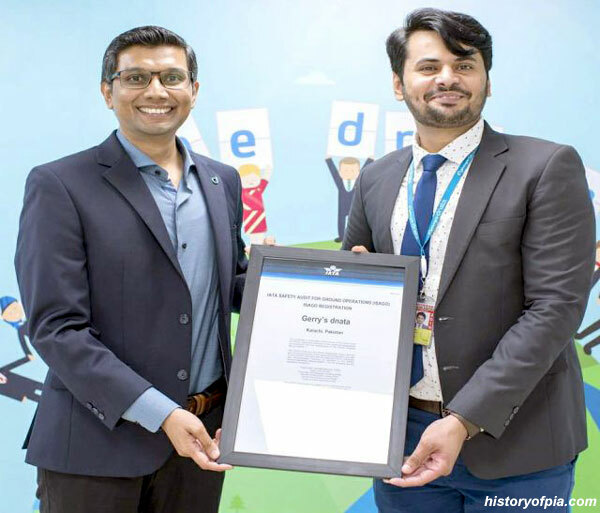 Pakistan has become the IATA's certified country for its ground-handling operations in aviation industry as Gerry's dnata is the first ground services provider to be awarded the prestigious safety status in Pakistan. The company has achieved IATA Safety Audit for Ground Operations (ISAGO) Registration in Pakistan, and obtained ISAGO Station Accreditation at Karachi International Airport following successful completion of ISAGO audits. "We are proud to be awarded IATA's prestigious ISAGO Registration in Pakistan," said Syed Haris Raza, Vice President of Gerry's dnata. "As one of our core values, safety is integrated in all aspects of our operational, training and people management processes. We constantly monitor and measure our safety performance and engage our colleagues at all levels of the organization in continuous improvement. The achievement of the ISAGO Registration demonstrates our commitment and ability to meet the highest industry standards." Gerry's Group and dnata, one of the world's largest air services providers, joined hands in 1993 to provide ground handling services at Karachi Airport. Since then, the joint venture has continually expanded its operations in the country and today serves 11 airline customers at seven Pakistani airports. Gerry's dnata's 2,500 dedicated employees assist over 4.5 million passengers and handle 130,000 tons of cargo annually.